Updated at 10:11 p.m., with more on other statewide races. A novice politico raised nearly $103,000 for his lieutenant gubernatorial campaign in the first half of the year, though much of it came from his own pockets and those of his family members. 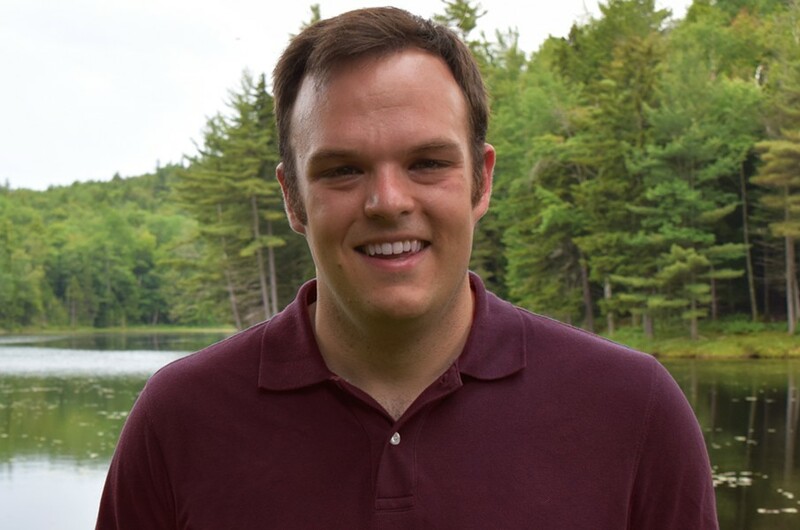 Brandon Riker, a 28-year-old Marlboro Democrat, donated nearly $60,000 to his fledgling bid, according to a disclosure filed late Tuesday with the secretary of state's office. Eight family members donated another $32,000. "This is about building a grassroots campaign and engaging people in the process," Riker says. "The idea is going around the state talking to people one-on-one, and the money is just a part of it." Riker’s hefty haul was one of the few surprises to come out of Vermont’s first campaign-finance filing deadline of the 2016 election cycle. Candidates who raised or spent more than $500 this year were required to disclose that information by midnight Wednesday. Another surprise was former Democratic state senator Matt Dunne’s announcement that he’d raised nearly $134,000 for his all-but-certain gubernatorial campaign. As Seven Days reported in this week’s Fair Game column, Dunne accepted donations from more than 100 donors over the course of 10 days — including some from top Vermont Democrats and Silicon Valley entrepreneurs. The Google executive, who lost a 2006 lieutenant gubernatorial race and a 2010 campaign for governor, claims he still hasn’t decided, for sure, whether he’ll run again. "Having run a statewide race before, we know it's important to have the right team and resources in place before making a final decision," he says. Only $115,000 worth of Dunne’s donations were reflected in Tuesday's filing, because nearly $20,000 came after the deadline. Dunne was the only potential gubernatorial candidate who reported raising new money this year. Lt. Gov. Phil Scott, a Republican who’s considering a run for the state’s top job, reported having $98,654 in his lieutenant gubernatorial campaign account. House Speaker Shap Smith (D-Morristown), reported having $5,621 in his House account. In the race for attorney general, incumbent Democrat Bill Sorrell raised no money, but spent $711 on legal fees. In May, Gov. Peter Shumlin appointed independent counsel to investigate accusations of campaign finance improprieties. On Wednesday, Sorrell reported having $40,858 available for a reelection campaign, should he choose to run again. Chittenden County State’s Attorney T.J. Donovan, a Democrat who is challenging Sorrell for AG, transferred $27,043 from his county campaign account to a new statewide campaign account. He raised no additional money. Riker, the lieutenant gubernatorial candidate, has never run for public office, as he told Seven Days last month. But he has worked on several campaigns, including those of President Barack Obama, Sen. Jon Tester (D-Montana) and former Alaska senator Mark Begich. A California native, Riker attended Wilmington's Twin Valley High School and now serves as managing director of Brattleboro's Teucrium Trading, which sponsors agriculture-related funds on the New York Stock Exchange. His parents, Barbara and Dale Riker, both served as executives of major telecommunications firms. Though his campaign is largely self- and family-funded, Riker says, "This is certainly not about buying a seat. It costs money to run a grassroots campaign." He notes that "a large percentage" of his donors — 62 out of 83 — gave less than $100. But their contributions add up to just $2,960. Those who gave over $100 apiece collectively donated nearly $100,000. "I've never held public office, so friends and family and myself would naturally be the first people to give," he says. Will he open his wallet any wider? "I just don't know," he says. "I potentially may put in more, if I feel the campaign's going in the right direction."